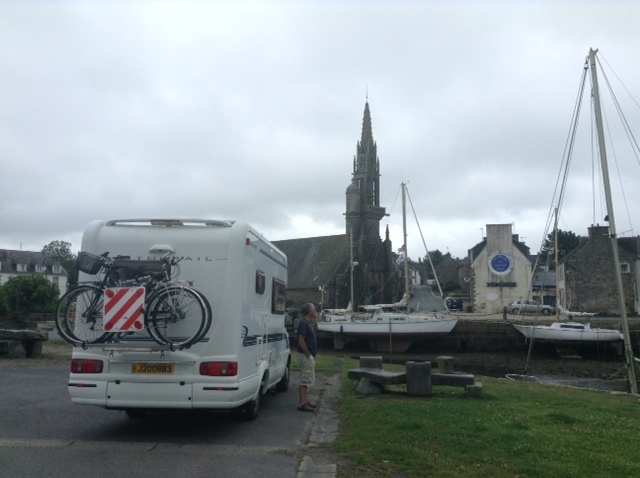 We stopped for a short while at the water side village of L’Hopital-Camfrout with its free aire. The sun wasn’t shining, but not hard to see how pretty in the sun it would have been. The same with Le Faou where we have been before (in sunshine!). 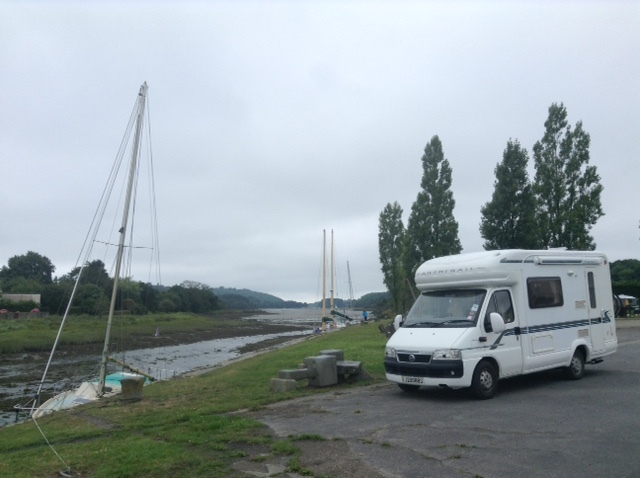 This time we see the aire, which we think used to be the municipal campsite, is now a paying aire, though likely worth the steeper 10 Euros with its estuary location and individual hedged pitches. Either way, we weren’t persuaded by the dull drizzly overcast weather, so after a walk along the waters edge to the village, headed on our way.